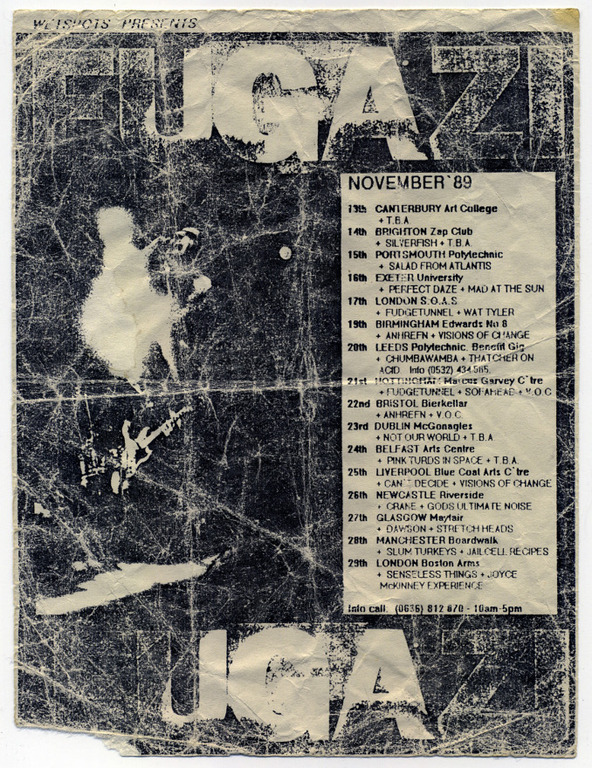 I attended this gig - I was aged around 17 I think. We were amazed that Fugazi played this tiny venue in Canterbury. I got one of Brendan's broken drum sticks which I kept for years (but sadly no longer have). I also distinctly remember asking either Ian or Guy for a plectrum at the end of the gig but whoever it was wasn't in the mood for giving me one. A really great gig that was a highlight of my early gigging experiences. Loads of energy, very hot and sweaty, and lots of thrashing around. Epic.